Customer Service, the only way to make your customers fall in love. A lot has been spoken about customer service. How good customer service can contribute to revenue, how great customer service can differentiate your company. But what makes good customer service? Here’s a personal experience that made me realize what good customer service is. After a successful online purchase that amounted to $54.87, I was not very elated to receive the package. It was bigger for my liking. When I tried to return the product, I was shocked to note that the item was not ‘return eligible’. But hey wait, I have not opened the package. Why can’t they take it back? I had a point I thought. What’s more surprising was when the company agreed with me. The folks at customer support noted that it was against their policy to have the item returned. It was a safety issue. But they understood my case and offered me a refund. They let me know that I could still keep the item or donate it if I wished. My loyalty was bought at $54.87. I went on to spend more than $10000 on the platform ever since. And looks like I am not the only one inspired by their customer service efforts. Great customer service is key to making customers use your product and keep them coming back. Businesses know that acquiring customers is costly. Once you’ve spent so much to acquire a customer, it is detrimental to lose one. Customer service is the only parameter that decides if the customer comes back or not. And who scores customer service? With most companies realizing the importance of customer service and jumping on the bandwagon, it becomes all the more important to stand out from the crowd. This customer service week, if you want to try something different and still make an impact, try video. How to use videos in customer service? 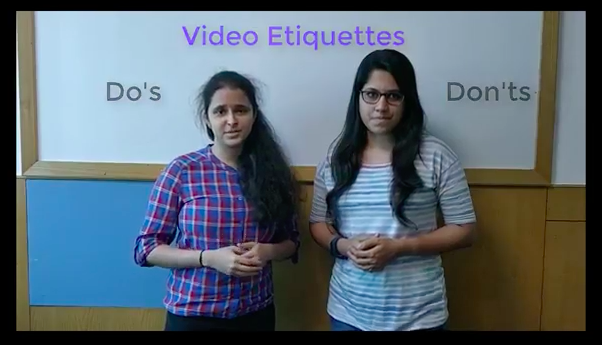 Use videos to understand customers. Talk to them. Customer success calls are not the only way to communicate. Videos add more value and create a personal connection. Videos can improve resolution time. How well do you listen to customer issues? Make it easier for them to record issues as videos. This way, you can understand issues quickly and help customers understand solutions easily. Go beyond traditional support. Don’t make your customers wait! Yes, you heard it right. Having a great support team that can attend calls and chats at lightspeed is neither practical nor possible. Create a self-serving knowledge base with videos and help your customers help themselves. Make it easy for customers to use your product. Irrespective of the easiest of user experiences, it is important to take customers through the product. Onboard them with videos and make life easier for them inside your product. This ensures a great customer experience. Make your customers fall in love with your product or perish. Yes, quality customer service is the only way forward. Let’s have it in mind as we celebrate Customer service week, 2017.